Judisch Chiropractic is fully licensed and equipped to offer all types of chiropractic services to Fargo, North Dakota and the surrounding areas. New patients and walk-ins are welcome! For over years, Judisch Chiropractic has been providing Fargo, North Dakota with a large range of chiropractic services. Our clinic is warm and inviting because we want our clients to feel completely relaxed during their visit. If there is anything you are feeling apprehensive about, please let us know and we'll discuss all of your options. For great health care, trust our professional staff to keep you living the best life possible. Call us for all your chiropractic care. Judisch Chiropractic is part of the Heartland Independent Provider Network. Judisch Chiropractic knows there are difficult decisions when trying to decide which service will best suit your needs. We believe it’s important to be informed with what we can offer you. Here we have provided answers to our most frequently asked questions to assist you. If you require any additional information, feel free to give us a call; we’re always happy to hear from our patients, whether existing or potential. Your initial visit will begin with a consultation. Your doctor will take a case history and ask about your present condition. Next, the doctor will perform an examination to evaluate the nature of your problem. In addition to general physical, orthopedic, and neurological examinations, a chiropractic evaluation usually includes the hands-on techniques of static and motion palpation to help detect tenderness, restricted joint movement, pain and other signs of subluxations and related spinal or extremity problems. If necessary, your doctor may recommend X-rays or diagnostic tests to obtain further information about the mechanics of your spine and the details of your condition. After completing the analysis, your doctor will explain your problem and map out an appropriate plan of action with you. If necessary, you may be referred to another health care specialist for further evaluation or treatment. Doctors of chiropractic work with a variety of health care professionals in the best interest of their patients. Your doctor will discuss your care plan with you, taking into consideration your health habits, stress, and activity levels. Over the course of your care, your doctor will monitor your individual response and may also recommend changes to your lifestyle, work environment, dietary, and exercise patterns. Following a consultation and examination, a program of care will be designed and customized to your specific needs. This program is centered around the chiropractic adjustment, a method of treatment unique to chiropractic, which corrects spinal subluxations and dysfunction. The primary goal of an adjustment is to improve spinal alignment and motion, thereby relieving nerve irritation, pressure, and pain. You may feel immediate improvement after an adjustment, although most people experience gradual, progressive relief of symptoms. Since adjustments restore motion to previously locked joints, ligaments and tendons begin to stretch back to their normal length. This lengthening may cause slight muscle soreness similar to that brought on by rigorous exercise. If you experience these sensations, be assured that within days you will likely be enjoying the benefits of improved spinal motion with less pain that results from a healthier spine. For the best results, follow the plan that your doctor of chiropractic recommends for you. The veterbral subluxation complex happens when the joints in your spine don’t move properly. This occurs when the spinal bones(called the vertebrae) move out of their normal position. 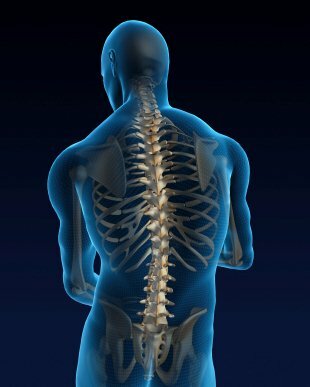 Because vertebrae protect the spinal cord, even a small change in the position of spinal bones can profoundly affect delicate nerve tissue. Subluxations are caused by falls, car accidents, improper lifting, poor posture, sports injuries, prolonged sitting, repetitive work, sudden or violent movement, lack of exercise, or even hereditary factors. Chiropractic adjustment or manipulation is a manual procedure that utilizes the highly refined skills developed during the doctor of chiropractic’s intensive years of chiropractic education. The chiropractic physician typically uses his or her hands to manipulate specific joints gently and precisely, particularly the spine, in order to restore or enhance joint function. This often helps resolve joint inflammation and reduces the patient's pain. Chiropractic manipulation is a highly controlled procedure that rarely causes discomfort. The chiropractor adapts the procedure to meet the specific needs of each patient. Adjustment (or manipulation) of a joint may result in the release of a gas bubble between the joints, which makes a popping sound. Doctors call this a cavitation. The same thing occurs when you “crack” your knuckles. The noise is caused by a rapid change of pressure within the joint. Cavitation often occurs during an adjustment, but it does not have to occur for the adjustment to be effective. There is usually minimal, if any, discomfort involved. This depends on your problem and your body’s needs. Long-standing or neglected problems often require ongoing care to restore and maintain good spinal health. Discuss your expectations for care with your doctor and ask questions about how you can optimize your spinal health. Your course of treatment is ultimately your decision. You may have heard the notion that once you go to a chiropractor you have to keep going back. Ask yourself how many times you have visited a dentist? Like most people, you've probably gone dozens of times. Why? Quite simply, to prevent your teeth from literally rotting out of your head. Once chiropractic care eliminates your pain and rehabilitates the injured tissues we do recommend that you continue with periodic care. Like your dentist and like many of the medical experts are now recognizing, prevention is the key to reducing recurrences of existing health conditions and minimizing new injuries in the future. Periodic chiropractic care combined with lifestyle modifications minimizes spinal and nerve stresses, reduces recurrences of old injuries, prevents new injuries from developing, minimizes degenerative processes, which enhances overall health and wellness. Copyright © Judisch Chiropractic. All rights reserved.